and was off to the Krampusfest. But the kid was rotten so Krampus got him. in the end Krampus knows best. For did you know: Krmapus was released in three different versions. 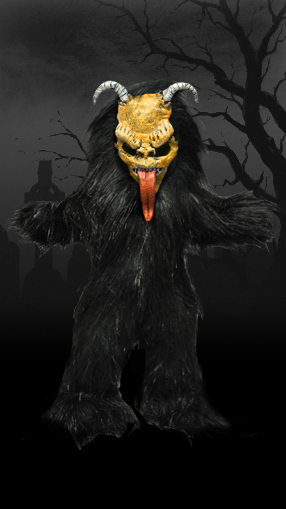 The regular version with black fur with tan mask and two variants. One black fur with red mask and one white fur with tan mask.